The cost of Crafter school care will be $75 weekly. There are no daily rates, please call for other arrangements. Children must be registered in advanced, no exceptions. Please give 2 weeks notice for stopping service. Registration: please pay first weeks payment to hold your spot. Crafter school kids will get this same rate of $75 weekly for drop off camps when school is out, this discount is only offered to our crafter school children. We will always have at least 2 staff members present. Staff are CPR and first aid certified. Staff are background checked, finger printed, & cleared against the child abuse/child neglect registry. We have high standards for our staff and only higher what we feel is the best for our studio which includes being firm but kind, sweet, and fun loving! The studio is sanitized daily. Children will get transported from school to The Artnasium. When they reach the studio they will get studio time and a snack (1 included). Studio time will allow them a break from working. Children will have a designated time to sit and do homework. Staff will assist with homework as needed as well as check for completion. If a student does not have homework they will be allowed to read or look at books so that others can have the quiet time to complete their work. When homework is finished staff will select a game or activity for children to do and/or allow them to create in the studio. During free time students will be allowed to create in the studio at our awesome stations. We have easels for painting, 3 guided craft tables, lego wall and table, dry erase finish the pictures, pretend vet office, floor to ceiling magnet wall, pretend school room, game and puzzle table, 2 exploratory craft tables, a pretend cafe and more! We expect good behavior. We want all children to feel safe in their environment. Any issues will be discussed with parents. Any type of threatening or bullying behavior will not be tolerated. Repeated issues will result in removal from the Crafter School Care program. 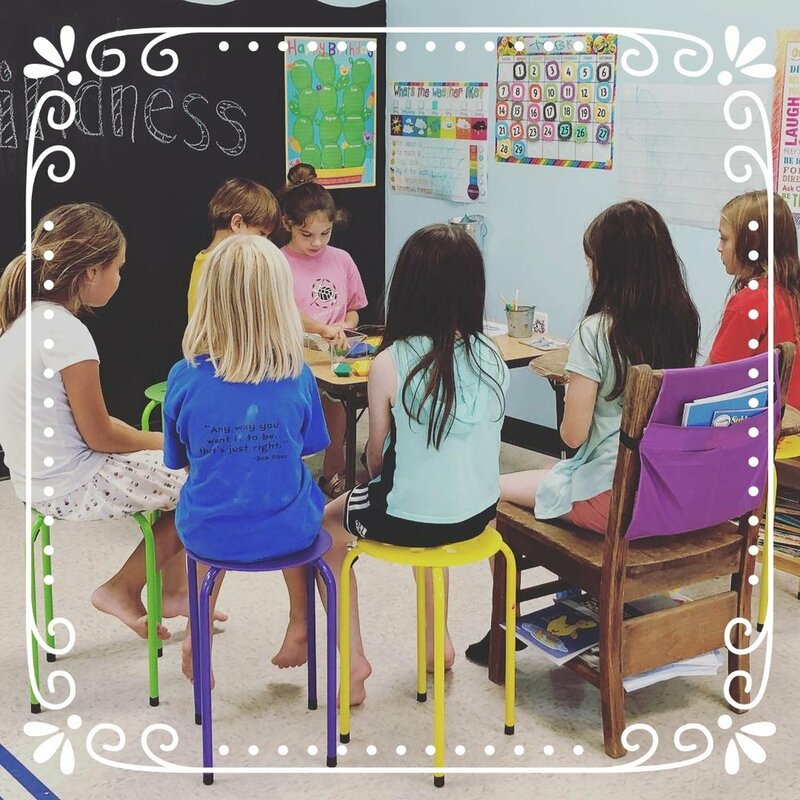 Why choose The Artnasium for your after school care needs? Creative space sparks the imagination, imagination leads to vision, vision leads to innovation and innovation leads to a better world. At The Artnasium we provide The SPARK! Email or call us today to be placed on the contact list.